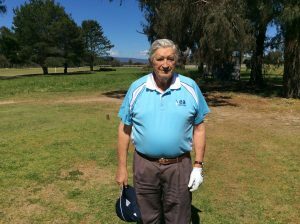 It is with great sadness that I inform the Club that one of our favourite Golfers passed away Saturday night, in his sleep. Peter Mulholland was 85 years old and could be described as such a lovely bloke and a true gentleman. Peter had recently returned to the fairways with the weather improving and was to let us know if he was playing in the nine and dine this Friday, as well as, joining us for the men’s day at Growling Frog GC. 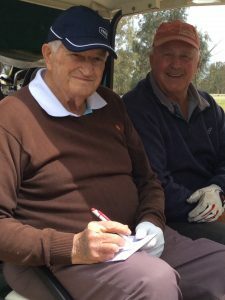 Peter was quite willing to walk 18 holes and would share a drink of ginger beer in the clubhouse with his playing partners. His golf attitude and awareness for 85 was outstanding. Anyone who had the pleasure of his company would surely remember him fondly. His funeral is being handled by Bamfords of Seymour and presumably be held later in the week.